Registration for all teams will open on Sunday March 10th at 1 pm up to the start of the opening ceremony. If you are unable to register your team by 5 pm, please email or text me directly and I will inform you as to where to meet me following the opening ceremonies. My email is Marian.lnhl@gmail.com and my cell is 6475288438. Otherwise, all team managers please be prepared to attend at Paramount to register your teams between 1 and 5 pm and please ensure you bring 2 copies of your roster and have all of your players status cards available for spot review. Also, for those who are playing under the one parent rule, please ensure that you have the long form birth certificate for the player for our review. Please also have a copy of your receipt for payment of team entry fees. All managers are expected to have all of their documentation with them prior to and during games as the Arena Captains may be doing spot audits during the tournament. Thank you for your cooperation. ​The Little NHL will be held from Monday, March 11 to Thursday, March 14, 2019. To be better able to track the economic impact that the LNHL has on the city of Mississauga and to better equip the LNHL to negotiate better rates for you, it is important for ALL TEAMS TO BOOK THEIR HOTEL ROOM VIA EventConnect. We may not be able to confirm registration until your rooms are entered into EventConnect. Thank you for your understanding and cooperation. Novice and below house league coaches should be trained at the Coach 1 Level. This 8 hour course (4 hours online and 4 hours in-class) includes topics such as; skills teaching/analysis, lesson organization, teaching stations, drills and games for development, and equipment and space usage for teaching. Also included is an on-ice training session designing and delivering the topics covered. You will be required to bring a CSA-approved helmet, skates, gloves and a hockey stick for the on-ice component. The Initiation Program was developed by Hockey Canada to make a child’s first contact with hockey a safe and positive experience. In a structured learn-to-play hockey program environment, beginners can learn the game’s basic skills and become contributing members of a team, develop confidence, and experience personal achievement. The Hockey Canada Initiation Program atmosphere is one fun and fair play. All Minor Atom and above house league head coaches should be trained at the Coach 2 Level. This 8 hour course (4 hours online and 4 hours in-class) includes topics such as; supporting the athlete through communication, designing and delivering practices and the game environment, game day preparations, and the National Coaching Certification Program’s (NCCP) M.E.D.-Making Ethical Decisions workshop. Also included is an on-ice training session designing and delivering the topics covered. You will be required to bring a CSA-approved helmet, skates, gloves and a hockey stick for the on-ice component. All bench staff for boys team are required to have this training. Girls division is EXEMPT from this training however we are looking into whether another course or similar course is required for girls teams. Respect in Sport, (RIS) Activity Leader module is available for bench staff who do not currently have a Speak Out. The Respect in Sport (RIS) Activity Leader certification, is required for the tournament if acting in a bench staff role. If they have a Speak Out certification, then they do not have to take the RIS. Proof of Speak Out may be requested to update their record in the HCR. Little NHL has now been added to Respect in Sport, Activity Leader module on line. It appears as OHF-LNHL in the Association drop-down menu. TO REGISTER FOR ONLINE TRAINER CERTIFICATION - click HERE - NO ON-ICE COMPONENT REQUIRED. Once you login, identify yourself as 'other” in the dropdown menu. You will be able to print off a copy for your personal files upon completion of this course. 1. Will the Coach 1 – intro to coach” be sufficient for all levels? No. Coach 1 for Tyke and Novice and Coach 2 for Atom and above. 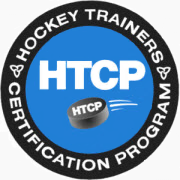 2.Will all coaching staff be required to take the Hockey Trainer’s Certification? No. Only the trainer needs to take the trainers certification training. 3. Will hockey parents be required to take the respect in sports for parent? NO. 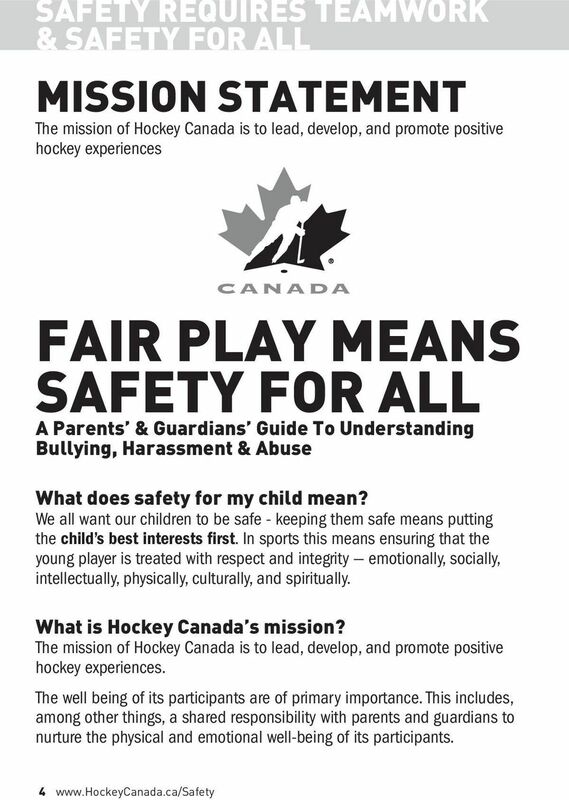 We will not be requiring all parents of players participating in the LNHL to take Respect in Sports. Respect is one of our pillars and this is an expectation of all those attending LNHL, both on and off the ice. 4. Will the LNHL be hosting coaching clinics? Yes - see above for more details. 5. If I have Standard First Aid or am a Paramedic, does this exempt me from Level 1 Trainers Certification? NO. You still need to take level 1 trainer certification. However, if you also have standard first aid, you qualify for level 2 trainer status. 7. Is Speak Out and Respect in Sports the same thing? Pretty much, yes. Either are acceptable for team management staff at the LNHL. 8. Are vulnerable sector screens a requirement to coach in the LNHL tournament? Vulnerable screens are encouraged, but not mandatory.